5 Common Causes of Toothaches - Trusted Dentistry. You might experience some aches and pains in your mouth once in a while, and that’s perfectly normal. However, a sharp or throbbing pain in one of your teeth, better known as a toothache, is not normal. Your teeth go through a lot over the years, and sudden pain can be an indicator of many different dental problems. Here are some pretty common reasons why people experience toothaches. Also known as gingivitis and periodontitis, gum disease is an infection of the gums that surround the teeth. The infection will eventually cause bone loss and deterioration in your gums if left unchecked by dentists. The gums then become detached from your teeth, forming pockets that fill with bacteria. Your teeth’s roots will become exposed to plaque and become more susceptible to decay. As they do, they will become sensitive to touch and cold temperatures. A dental abscess happens when the buildup of bacteria inside the pulp chamber becomes infected. It’s a phenomenon that’s as gross as it is painful. The infection tries to drain itself out of the tip of your roots. The pressure from the draining leads to the toothache you might be feeling. Cavities are another common reason why you might be experiencing a toothache. A cavity is a common type of tooth decay, and it’s basically a hole that forms in your tooth. They usually start small and get bigger when left untreated. And, of course, there is pain associated with cavities. At least one out of every five Americans has one or more untreated cavities right now, so cavities could certainly be the cause of your toothache. There are a number of things that can cause your teeth to crack. Sometimes, they just weaken over time due to pressure from biting, chewing, and grinding. You might also be involved in a sports accident or other physical altercation, causing your tooth to crack or break. Either way, one of the most common symptoms of a cracked tooth is a toothache. This one may sound weird, but a sinus infection can actually lead to a toothache. For example, if you have a sinus infection, your teeth might feel more sensitive than normal. As a result, you will experience discomfort and pain. This is especially true for your upper teeth because they are located directly under your sinus cavities. Pressure from your sinuses can affect your teeth in surprising ways. If you experience serious oral pain, it’s important to visit your dentist as soon as you can. 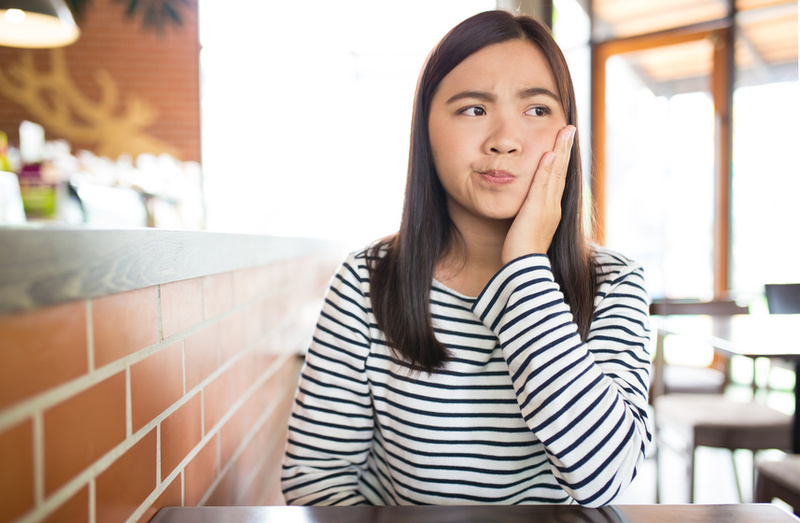 A toothache could be something minor, but it could be something extremely serious too.